After Mohammed Azharuddin rang the bell to mark the start of the first T20I between India and West Indies at the Eden Gardens on Sunday, Gautam Gambhir slammed the Board of Control for Cricket in India (BCCI), the Committee of Administrators (CoA) and the Cricket Association of Bengal (CAB) for giving the tainted former India captain such an honour. 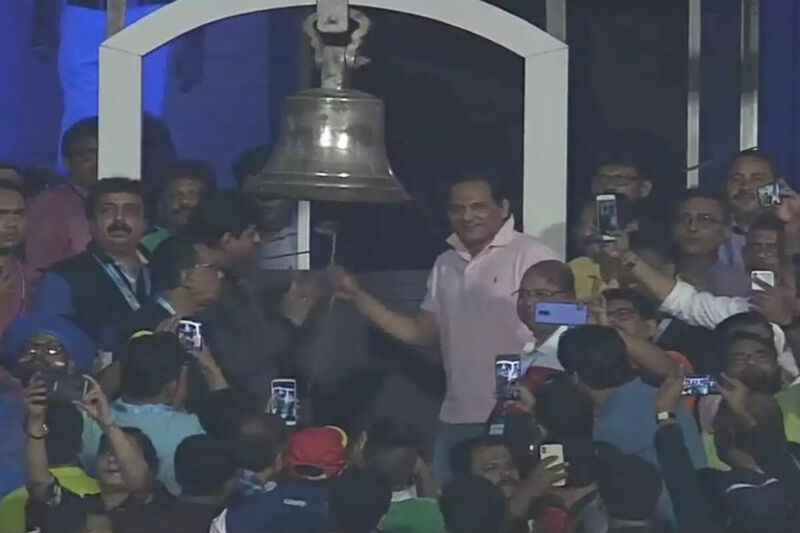 As per the tradition, CAB invites former players to ring the bell five minutes prior to the start of a match at the iconic Eden Gardens. However, the act of CAB did not go down well with the outspoken Gambhir, who immediately questioned the ‘no tolerance policy against corruption’ of BCCI, CAB, and COA. “India may have won today at Eden but I am sorry @bcci, CoA &CAB lost. Looks like the No Tolerance Policy against Corrupt takes a leave on Sundays! I know he was allowed to contest HCA polls but then this is shocking…The bell is ringing, hope the powers that be are listening,” he wrote on Twitter. 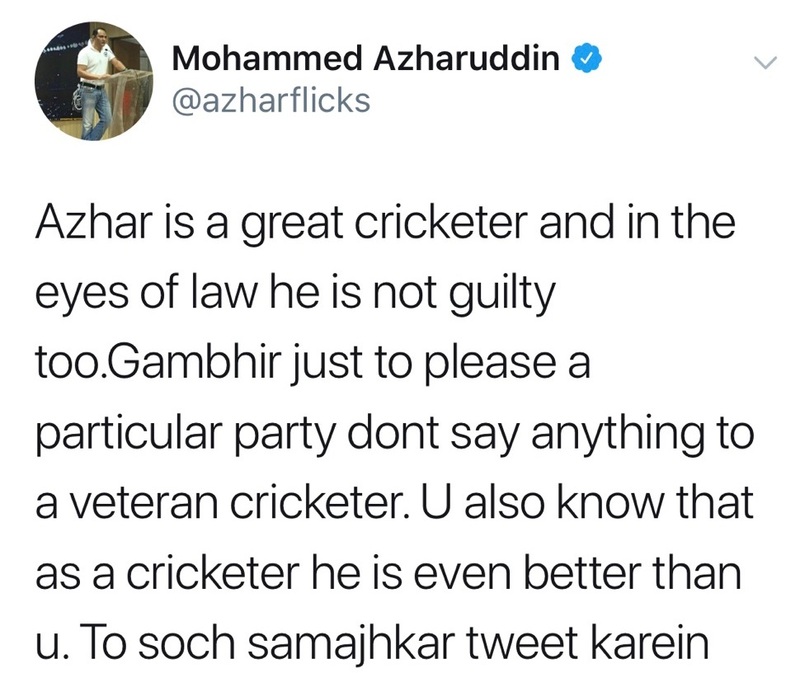 After expressing his displeasure, Gambhir faced backlash on social media and now a weird tweet was posted and then got deleted from Azharuddin’s official Twitter account. “Azhar is a great cricketer and in the eyes of law he is not guilty too. Gambhir just to please a particular party dont say anything to a veteran cricketer. U also know that as a cricketer he is even better than u. To soch samjahkar tweet karein,” the deleted tweet from Azharuddin’s Twitter page read. Azharuddin’s career came to a controversial end after he was banned by BCCI in 2000 for his involvement in the match-fixing scandal. However, the ban was lifted in 2012 after he fought the verdict in the Andhra Pradesh High Court. Since then, the former Indian skipper has been part of BCCI’s events. He was a part of the commemoration ceremony that took place ahead of India’s 500th Test against New Zealand in Kanpur in 2016. He has since then attended BCCI’s awards ceremonies as well. Mohammed Azharuddin, who captained India in 47 Tests, played 99 Tests for India and scored 6,215 runs at an average of 45.03. He represented the national team in 334 One-day Internationals and made 9,378 runs at an average of 36.92.